Dana Schutz has been described by people as “one of the most important painters of her generation”. An American painter, she’s mostly known for her paintings that are humorous departures of specific narratives or subjects. They praise her colorful works that are based on what is considered grotesque, absurd or even awkward. But one work of hers stands different from the rest: “Open Casket”. 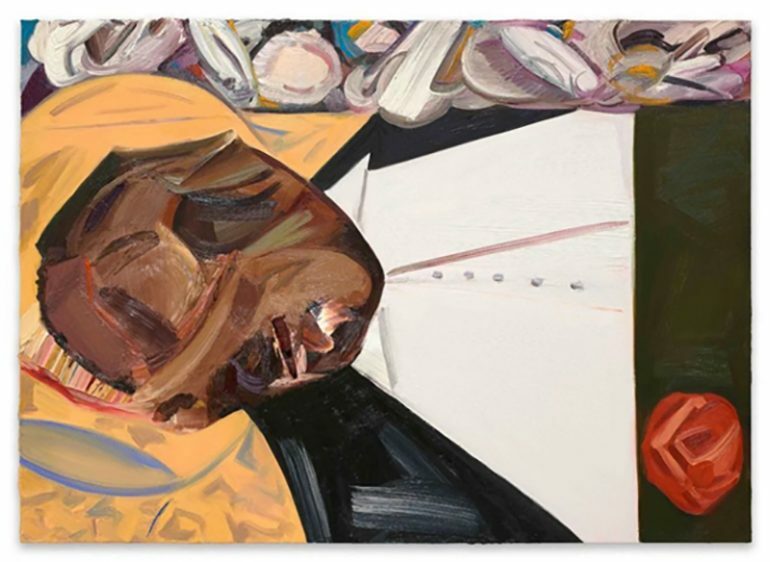 The work is a 2016 painting that’s depicts the dead body of Emmett Till, a 14 year old black boy who was beaten to death by two white men in 1955 for offending a white woman (who later admitted she lied about being offended). His death fueled the Civil Rights Movement in the United States. Normally works depicting historical events are looked upon with reverence or respect. Dana, didn’t paint it to aim for something humorous but for inspiration and hope against the darkness of racism, by approaching it in the perspective of Till’s mother (who decided to show the world what racism did to her son by having a funeral with the casket open). Dana Schutz is just one of the hundreds of artists out there who are being held against by their skin color. This is because of the extreme political correctness movement that’s sweeping across the globe. The term Political Correctness generally means that straight, white male or white females have no right to offend you if you are a member of the minority groups: the non-white races and the LGBT. If they did in anyway, then they are being racist, sexist, and misogynistic against you. That they are being fascists and you have all the right in the world to “bash the fash” out of them. Political Correctness has people tiptoeing around eggshells for fear that the violent, extreme, left-wing in America, made out of communists and Social Justice Warriors, come to them and hurt them and their families should they offend just even one of them. They are silenced. Their safety, at the cost of their freedom of speech, among the other rights that comes with it. Take for example, the story of the band named the Slants. They were denied of their right to register a trademark by the U.S. Patent and Trademark Office just because their name might offend someone Asian, “Slants” being a derogatory term to Asians that pertains to their chinky or slanted eyes. In the end, they won that case. In the case of Dana Schutz, she received all the hate she can get from the black community. 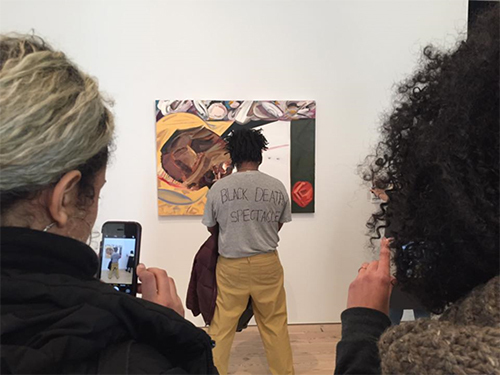 They called for the destruction of the painting just because they feel that, since Schutz is white, she has no right to use black people as subject of her paintings. Someone even stood in front of her painting with the words “BLACK DEATH SPECTACLE” written on the person’s back. And more recently, the Institute of Contemporary Art in Boston received letters of rage and threats for opening a solo exhibition of Ms. Schutz’s works. Even though the Open Casket painting was not among the exhibited works the museum was sent letters demanding ridiculous things such as acknowledging the controversy they perpetuated against Open Casket and forcing Schutz to appear in a panel discussion. Thankfully none of those demands had been fulfilled and that the exhibit opened without a hitch. But who knows what might happen in her future exhibits. There can be no doubt that these people will forever hound Dana like dogs, sending letters to every museums in hopes of getting her kicked out. In the end, unless western societies address and ensure the safety of their artists, these artists will be attacked simply because someone got offended.